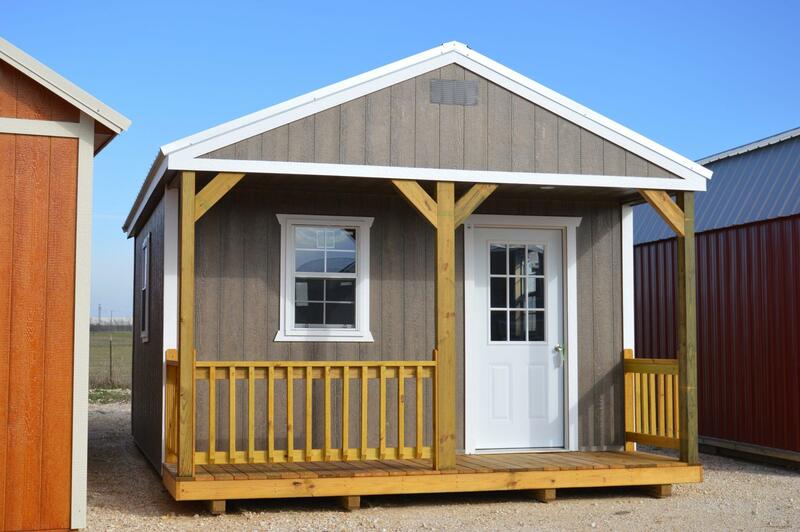 The Cabin comes standard with a 4′ deep front porch with rails. 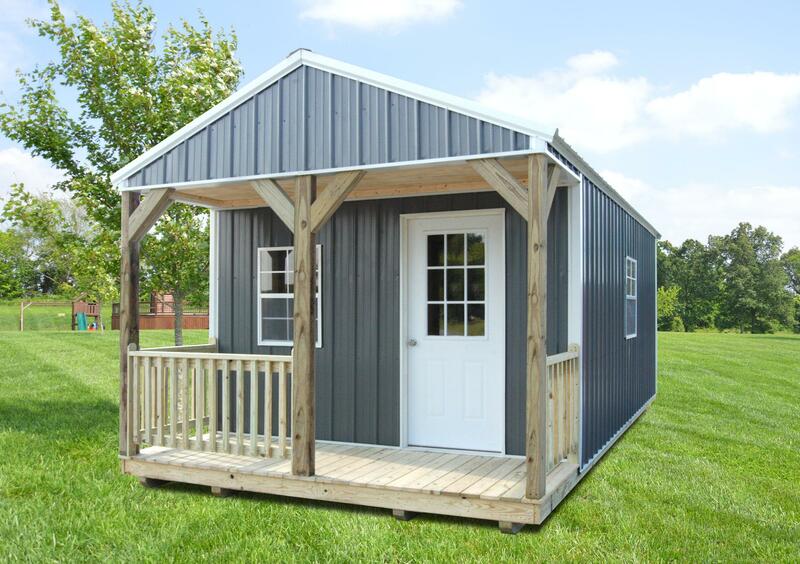 Side Cabins come standard with a 4′ porch with variable placement options. Three 2 x 3 windows standard. One 9-light, 36″ pre-hung door. 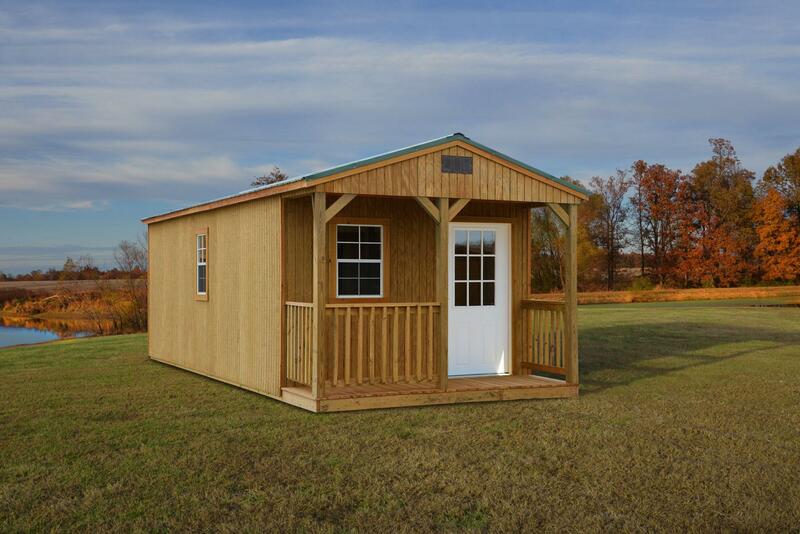 The Cabin comes with plenty of head room with standard 8 ft walls (exterior measurement). Our Brochures contain prices for your area. Please fill out the form below for more information and to receive a free brochure. 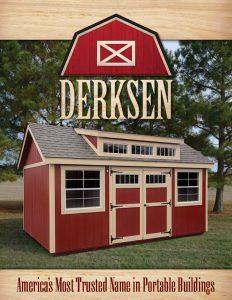 For pricing in your area, contact or visit your local Derksen Dealer. Send Me a Free Brochure! 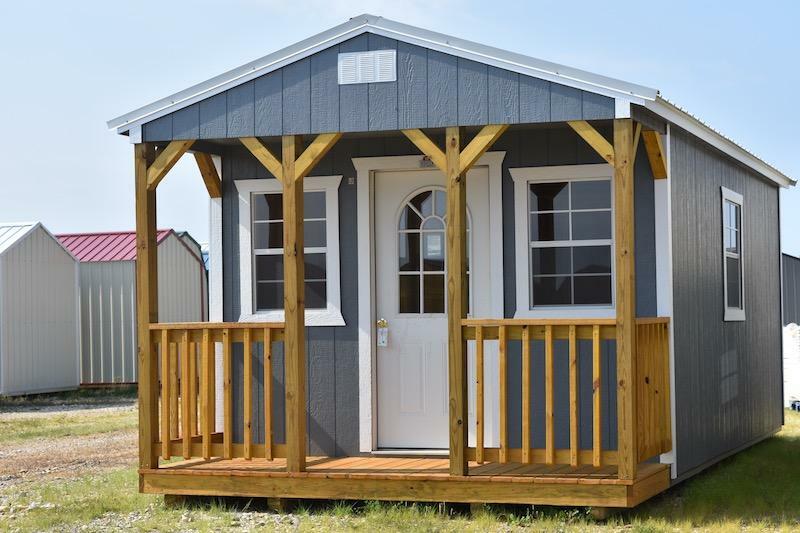 Copyright © 2019 Derksen Portable Buildings. All Rights Reserved. Website Design by Brady Mills LLC.